Chloë March’s musical past covers a stint in the sophisticated melodrama of Cousteau as well as a background in drama and playwriting. Such skills and experiences have been put to excellent use on new album ‘Nights Bright Day’ where the attention to production detail is matched with fascinating storytelling. Bathed in magical beauty, ‘Winter Deep’ sees March cast as the female equivalent of C Duncan, with whom she shares a cool, breathy vocal and a penchant for dreamy arrangements. 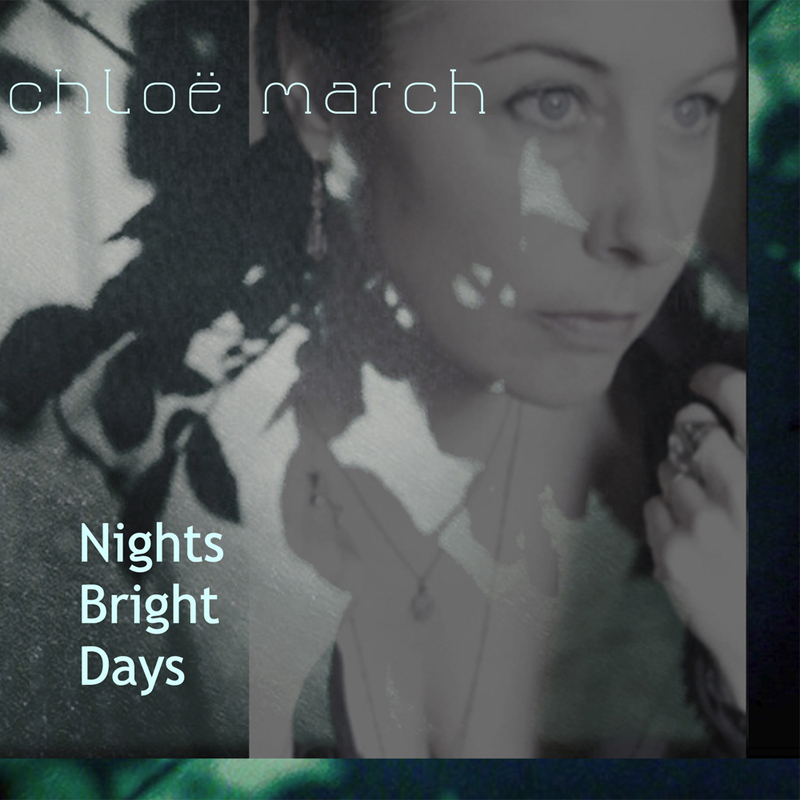 March’s primary focus seems to be on piano-led numbers and lambent, ambient pop, with strong echoes of Jo Hamilton on ‘Cafe Des Poetes’, yet a diversions into psychedelic soul (courtesy of ‘Boho Night’) is tackled with skill and panache. The superb ‘Orpheus Head’ bubbles with highly inventive production and oddball melody where the key lyrics, “You’re in my head. You’re in the ground, beneath my feet”, are delivered gently for maximum impact. A clutch of spare, vocal-led numbers (‘Ember’, ‘Eurydice On The Underground’, ‘Orpheus At Sea’, ‘Eucalyptus Night’) seem like lost anthems from a watery world whilst a spectral ‘Be Lonely Roi’ threatens to lure the listener completely underwater, engulfed by the hypnotic aural bliss. On abstract offerings such as ‘Sunless’, ‘Woods’ and the Anja Garbarek-esque ‘Owl’, meanwhile, it’s as if nature itself has decided to take over and recorded its own beautiful songs. Variations in pace may be few and far between but this is not a problem because the arrangements always keep the listener guessing from the first song to the shiver-inducing grace of the finale ‘Unlit’. Furthermore, March’s vocals manage to find that difficult balance between elegance, emotion and mystery. A joy. 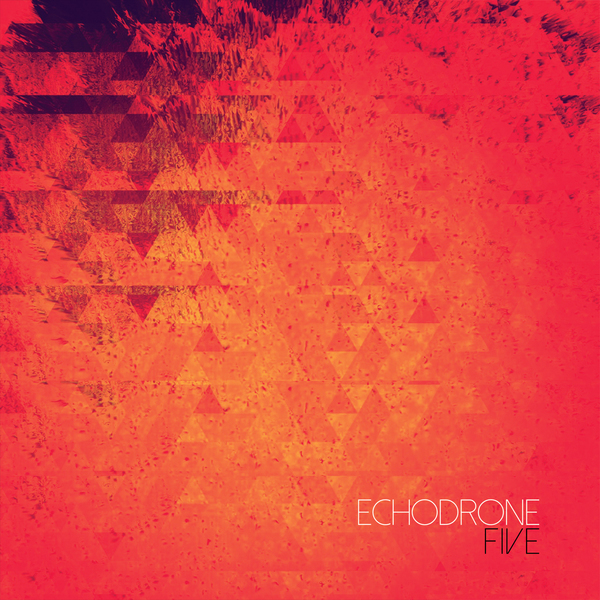 Everything about the title to Echodrone’s latest album fits. ‘Five’ is the San Francisco outfit’s fifth album, they have five band members and on this evidence they would certainly make the top five of many best of shoegaze/dream pop lists too. 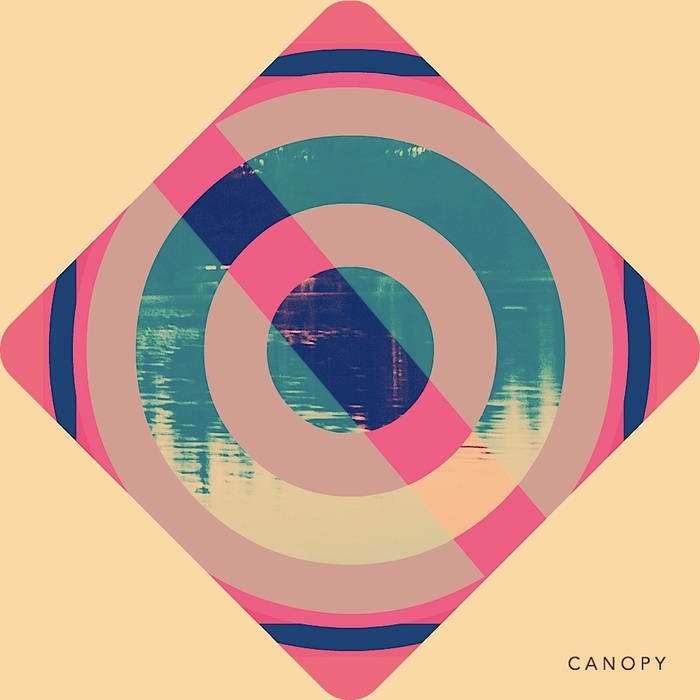 Opening up with the kind of vintage synth intro most commonly associated with Boards Of Canada, the whispered vocals and crunching guitar soon add menace to disturb the serenity. It may be an incongruous way to start but the song evolves into something special as all the initially disparate layers form a lovely melodic whole. Satisfyingly muscular rhythms and a dense framework of slow-building guitars or the cornerstones which guide ‘Falling From Planes’, ‘Motion Pictures’ and ‘Glacial Place’ towards classy shoegaze territory. Amongst other highlights, On ‘Noise Bed’ the angelic tones of Rachel Lopez take centre stage as they are set against lilting key changes, ‘When The Two Ends Meet’ pushes and drives towards euphoric places whilst ‘Less Than Imaginary’ relies on a fairly simple but addictive hook. Some intensity is lost a little towards the conclusion of the record but otherwise Echodrone provide good value over an hour’s worth of expertly-produced music. Throughout, they exhibit similar qualities to long-serving British act Engineers, steadily forming sumptuous layers of carefully cultivated sound whilst searching for (and often finding) the perfect tunes. Full marks to Canada’s Nicholas Krgovich and his team for arousing interest. 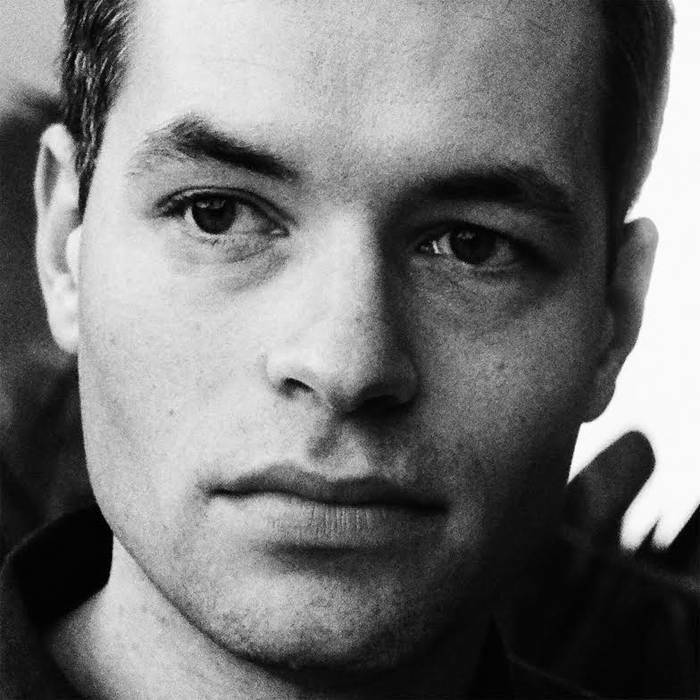 His latest album is said to be “experimental music masquerading as pop” in a similar vein to classic albums such as ‘Steve McQueen’, ‘Cupid & Psyche ’85’ and ‘Avalon’, as well as drawing comparisons to Donald Fagen. What’s not to love? ‘The Backlot’ is our introduction to some sumptuously arranged soul music, with female harmonies and brass and string parts that are engaging and never obtrusive. Thanks to their rolling keyboard motifs, refined production values and nocturnal atmosphere, ‘Along The PCH On Oscar Night’ and ‘City Of Night’ come across like Vancouver-based versions of The Blue Nile. Meanwhile, further highlights ‘Cosmic Vision’ and ‘You’re Through’ are inventively arranged and produced and given further gravitas by Krgovich’s smoother than smooth tones. It’s probably no coincidence that ‘On Sunset’ was produced by John Collins who also has credits on past Destroyer releases; another act with a penchant for exquisite 80’s-flavoured productions. The ideas seem to fizzle out slightly towards the end of the record as the album settles into tasteful but unspectacular soul music but otherwise this is a classy affair which makes light of the weight of its impeccable influences. Just when you thought all the sub-genres in the universe had been exhausted, along comes Zebracore. Needless to say, this is presumably a joke term conjured up by Isle Of Man act, Postcode, although given the fixation with the black and white striped mammal throughout the cover art, album and song titles, you’d be forgiven for thinking the branding has gone to their heads. In reality, though, their music is relatively straightforward and nostalgic for a time when British indie ruled the airwaves. ‘Yggdrasil’ begins with duelling jangly guitars and Marie Reynolds’s cool, cooing vocals will possibly win favour with lovers of any number of 1990’s female-fronted indie bands. The lengthy ‘At Last’ moves amicably enough between mid-paced fare and rousing anthemic rock. There’s more emphasis on acoustic guitar for the pleasant, gently seductive ‘Blue Fluff’ but the EP refuses to catch fire until the end. That moment occurs on a classy ‘Letting Go’, which has a similar lilting feel to ‘Blue Fluff’ but the fuller arrangement and wistful melancholy are wonderfully judged. They finish with a flourish too, thanks to the grungy, visceral ‘Boardwalk’; an energising song tailor made for closing out a live gig and an indicator of what is to come on the harder-edged ‘Part Two’. One can imagine Postcode being signed to Kitchenware Records if they existed twenty years ago and they certainly bear a strong resemblance to Hug from that same label. 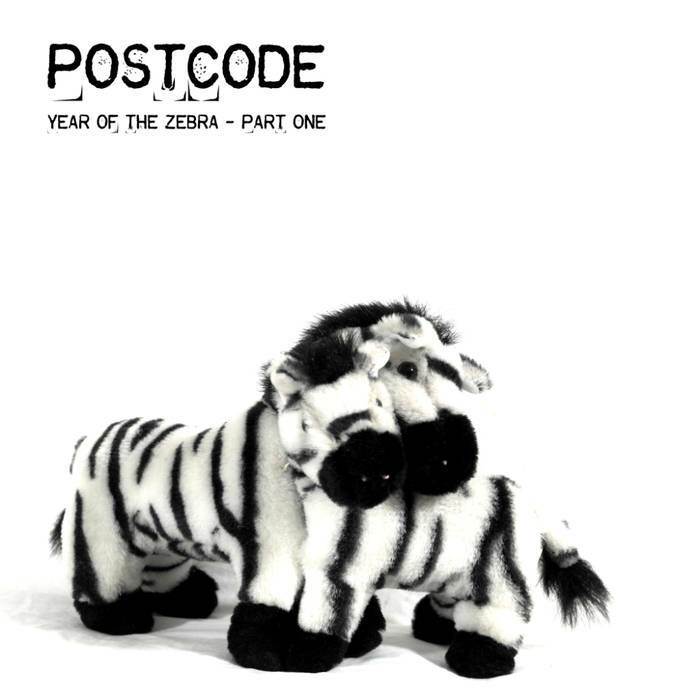 Overall, ‘Year Of The Zebra – Part One’ is solid – if rather dated – indie rock fare but the ending to the EP certainly suggests they have special songs in them. Those seeking more darker, psychedelic adventures, however, should check out the more recent ‘Part Two’. 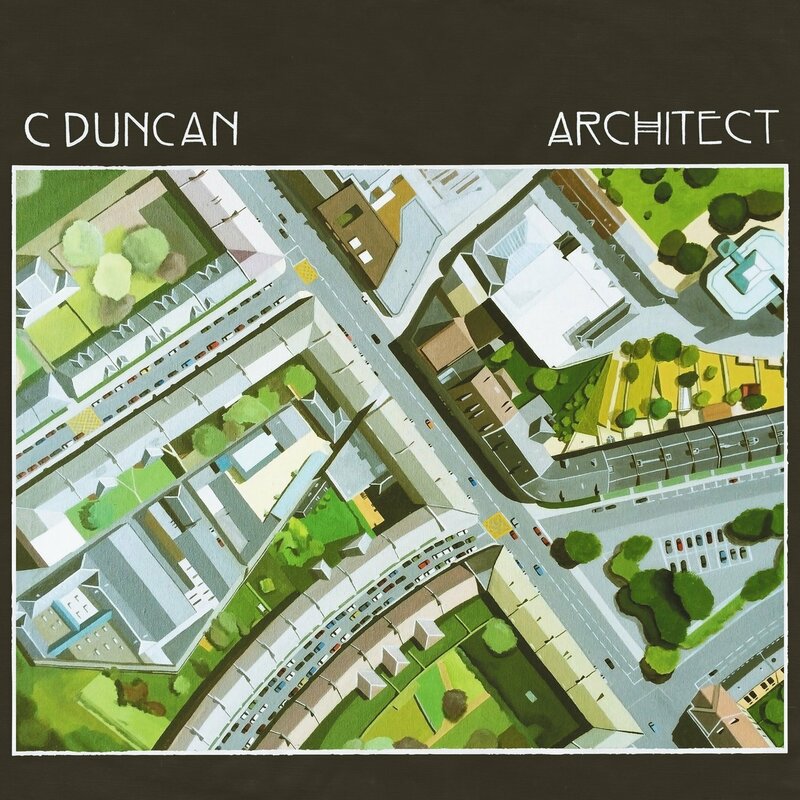 These are good times for Glasgow’s Christopher (C) Duncan with A list status achieved on respected station BBC 6 and now his first album about to be released. The man doesn’t disappoint on that score either with a truly original set of songs which combine folk, choral music and dream pop. ‘Architect’ is introduced by ‘Say’, with vocals which are both soothing, gentle and yet slightly eerie. The chorus is simply heavenly, consistently of lighter than air harmonies, not unlike an alt-folk Scritti Politti but really that only tells not even half of the story. A full-bodied title track heads skyward. The arrangement is reminiscent of retro-futurist revivalists such as My Autumn Empire and The Superimposers; given more magic by Duncan’s spiritual presence. The filmic, ambient-flavoured ‘Silence And Air’, the slightly unsettling couplet of ‘New Water’ and ‘Novices’ and a luscious ‘He Believes In Miracles’ are all paradigms of modern, psychedelic folk. ‘For’ really is like discovering a lost treasure from the late 1960’s; its delightful chorus, blessed with whistling and hypnotic vocal melodies are as beguiling a moment as there is to hear this year. In a rare break from the chilled reverie, ‘Garden’ signals a change in pace; Duncan racing through the song with a new found drive and yet the melody still recalls Cream’s ‘I Feel Free’, whilst ‘By’ possess a rich organ-led momentum. He even pulls off the trick of a genuinely touching lullaby on ‘I’ll Be Gone By Winter’ and it’s a real comfy jumper moment. The word ethereal tends to get overused but the description is a perfect fit for Duncan’s beautifully tender vocals and expertise with arrangements. ‘Architect’ is a definite contender for album of the year. London’s Passarella Death Squad have the distinction of being both a cult clothing designer as well being purveyors of electronica that is both chilling and chilled. 2013’s ‘Giant EP’ impressed with its mesmeric, late night drive atmospherics. The ‘Ghosts EP’ is similar in theme. The title track floats on a gorgeous bed of piano loops, Kraftwerk rhythms and serene ambience. Emilie Albisser’s vocals have the suitably haunting gravitas to do justice to the title and the song possesses the allure to be listened to in a trance-like state. ‘Ghosts’ is intended as a tribute to notorious German dancer/actress Anita Berber and it is by some distance the best of the three offerings here. ‘Empire’ is more sparse and even more slow-paced than ‘Ghosts’; head nodding is advisable as the track thrives on repetition and hypnotic elements but Albisser is the real star here as her performance adds eeriness and beauty. By the time the last of trio is presented, the EP has lost its edge somewhat because ‘Something’s Burning’ is reminiscent of 90’s chill-out remixing and could do with extra ingredients and variety to liven it up somewhat. So, it’s another fifteen minutes of superior chill-out/IDM. 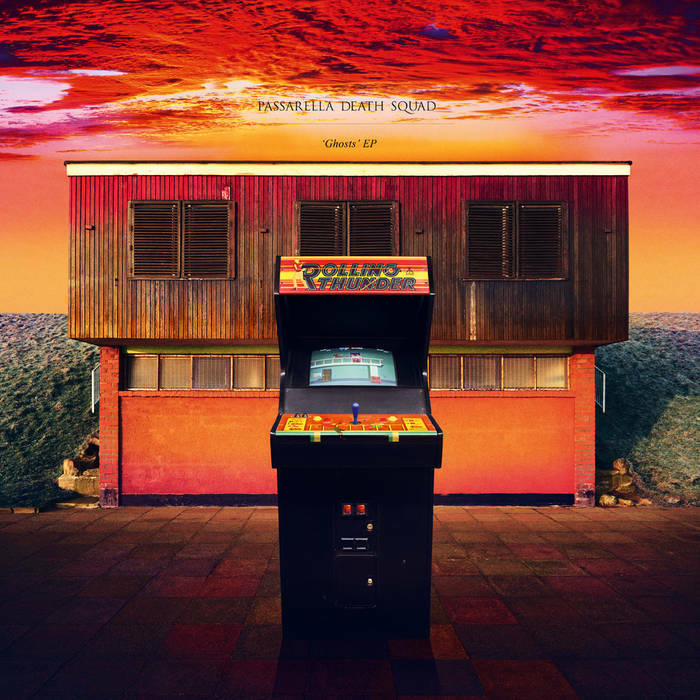 Once again, Passarella Death Squad’s music remains superficially attractive and although there’s not much to engage the heart and the soul, there’s plenty to keep the brain and feet satisfied.